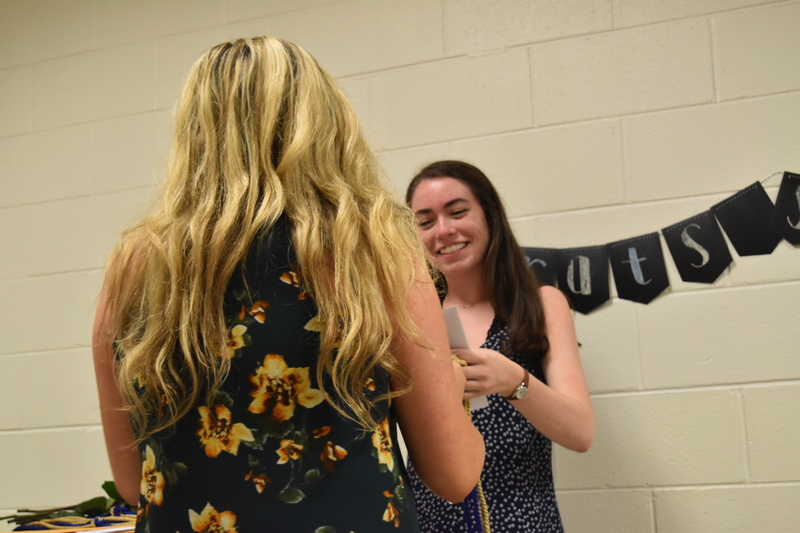 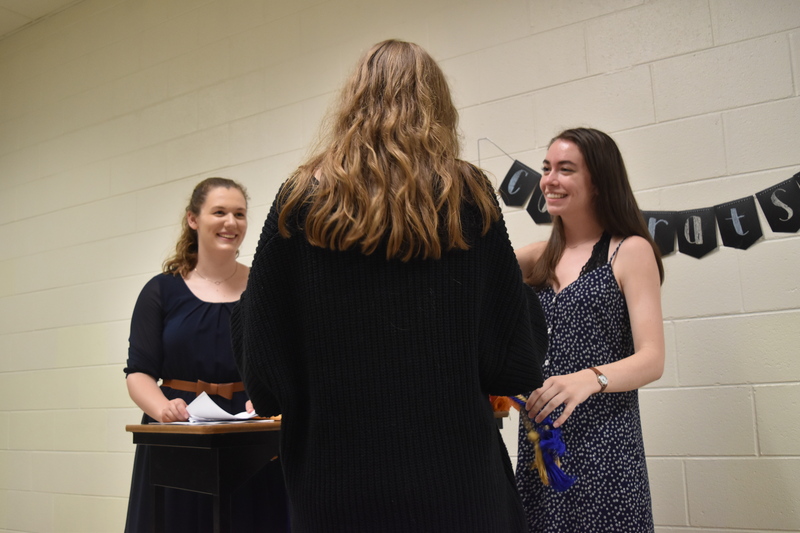 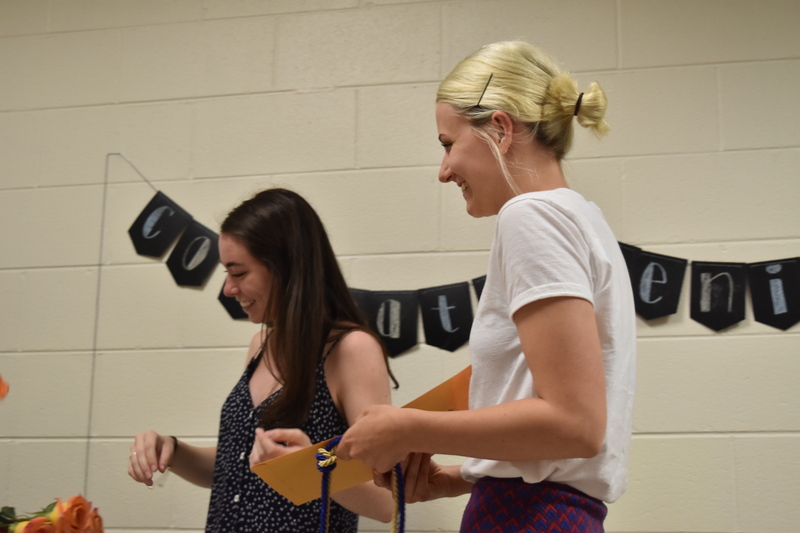 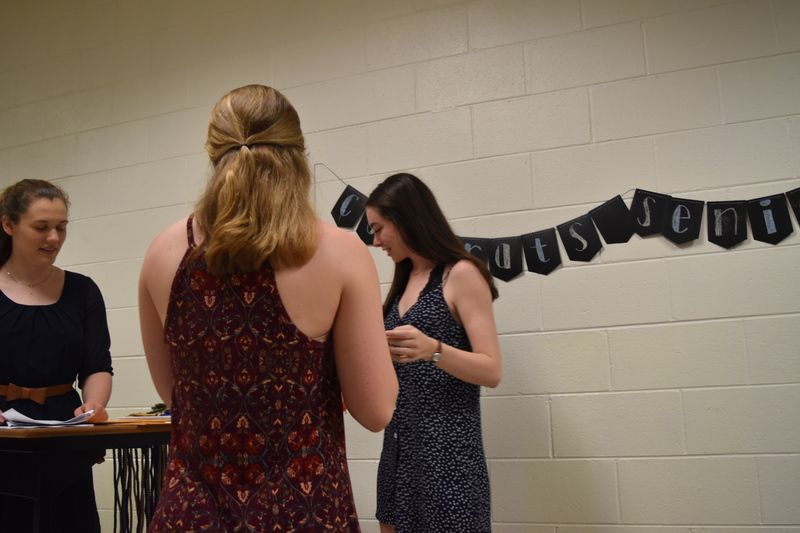 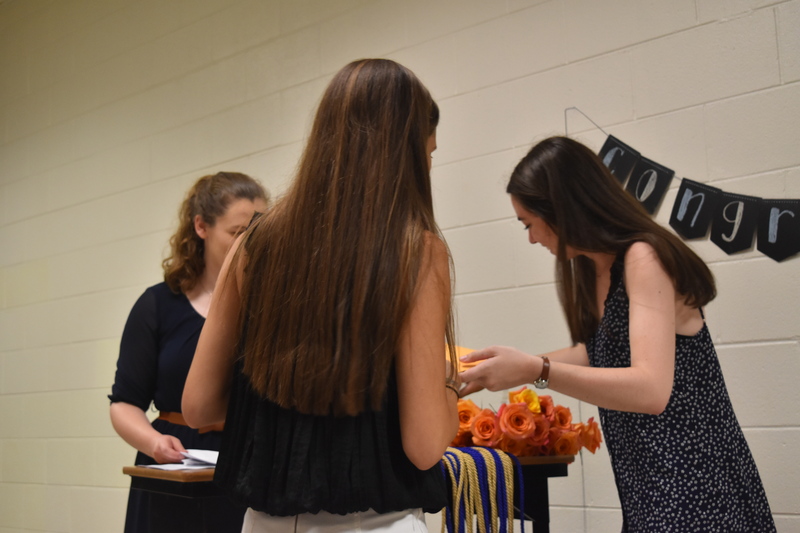 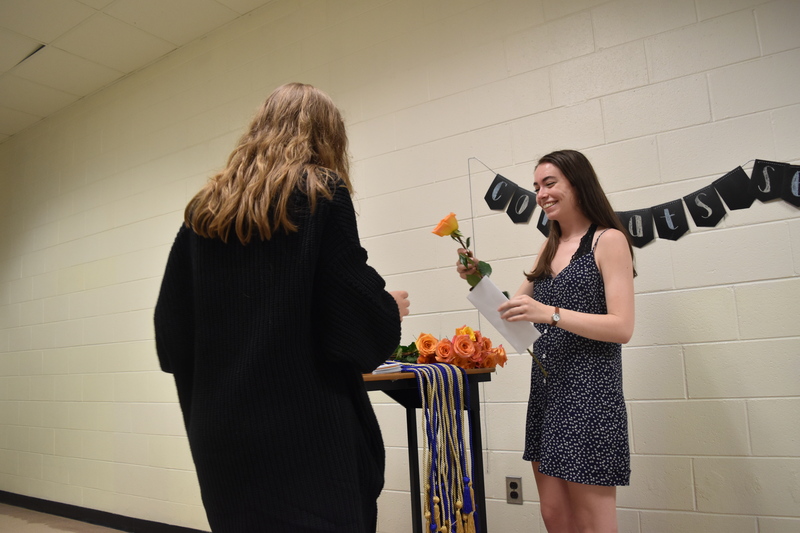 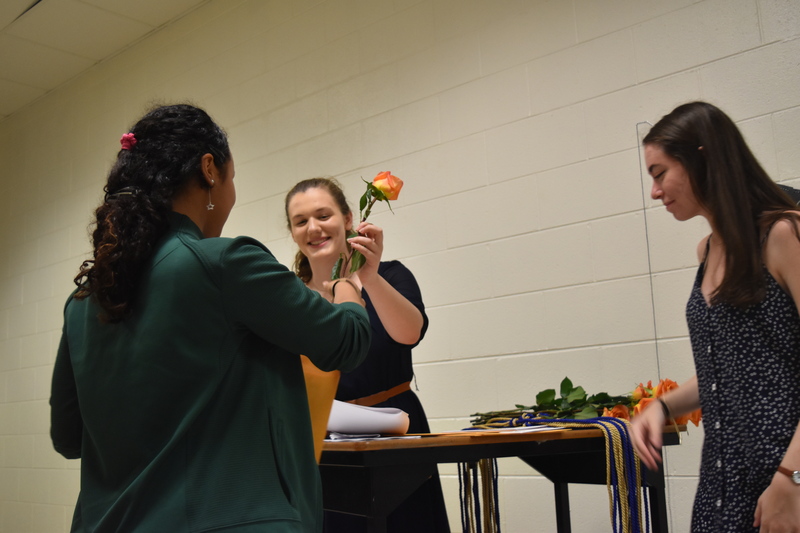 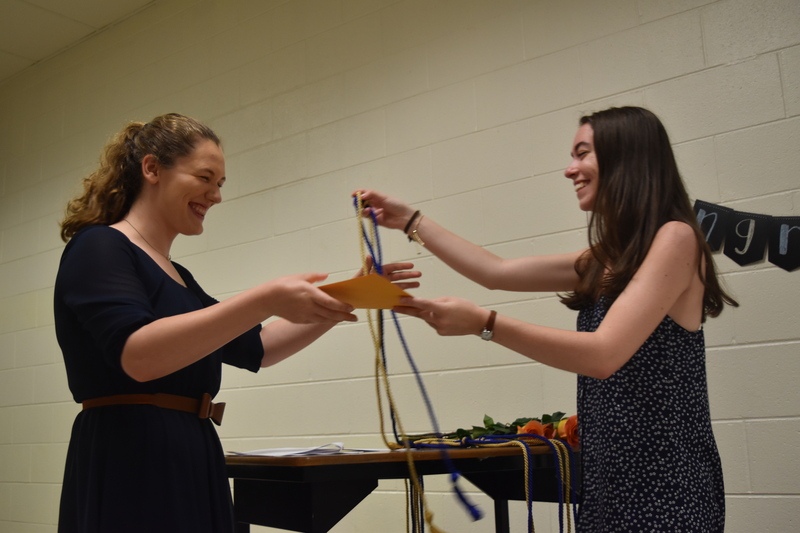 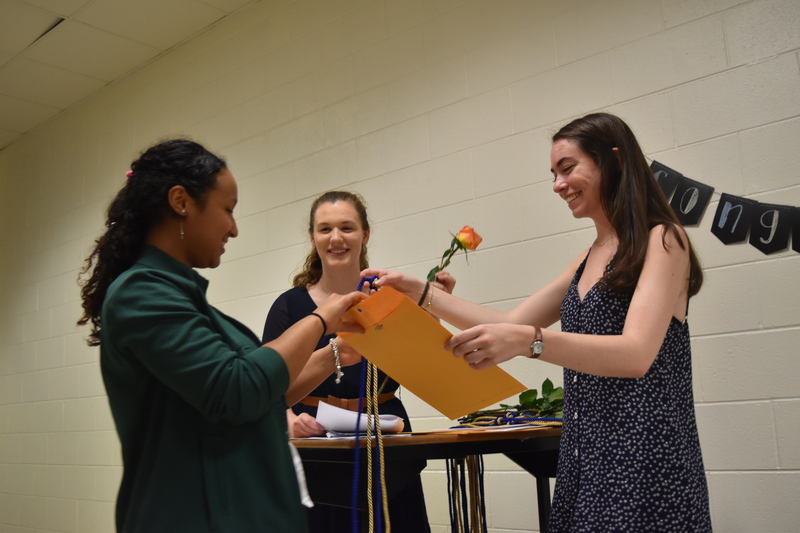 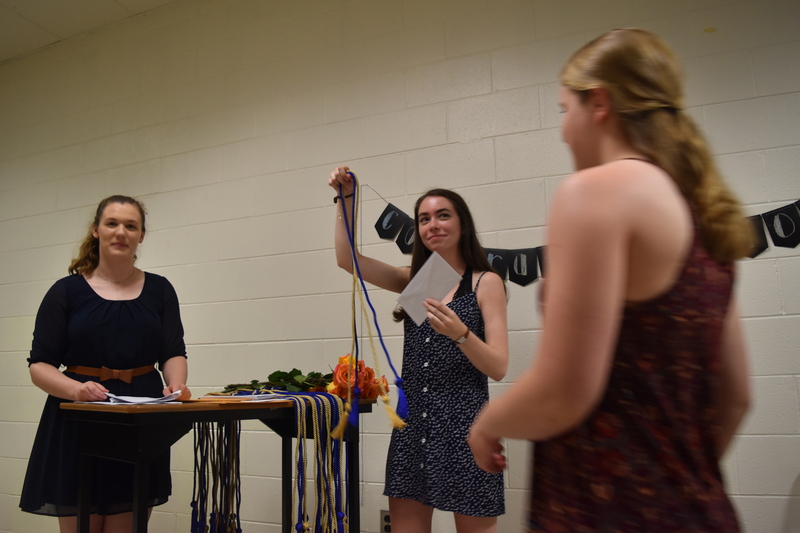 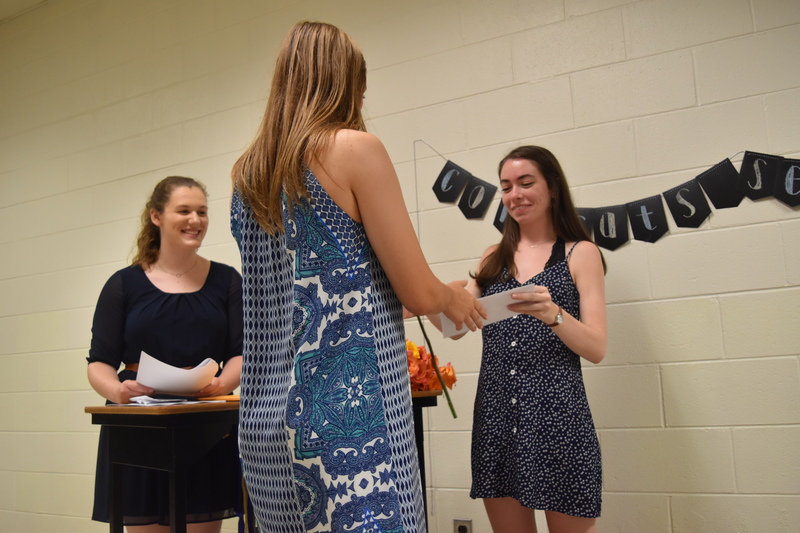 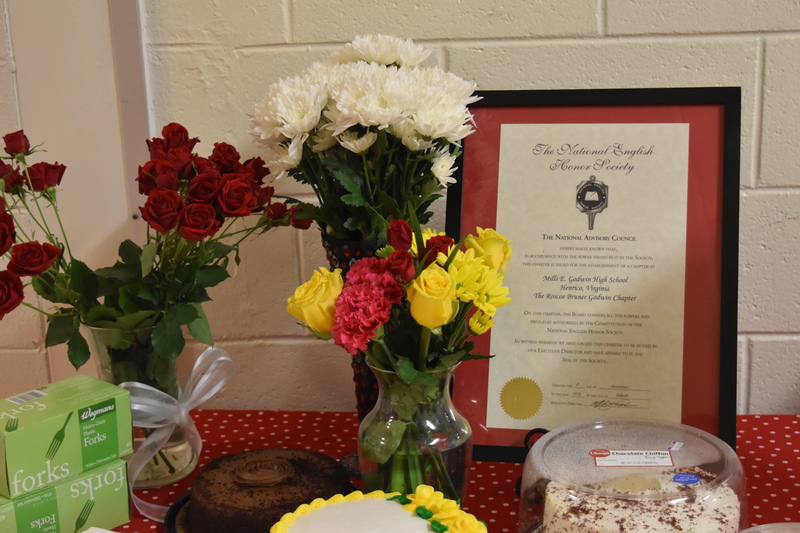 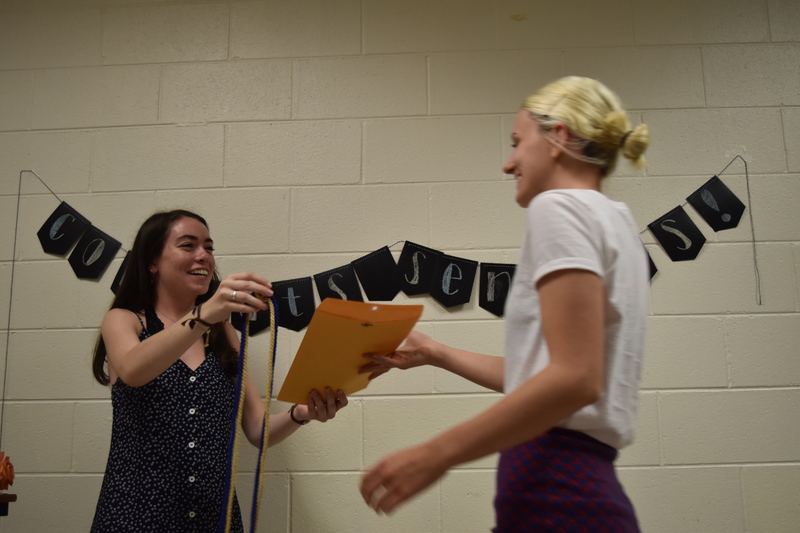 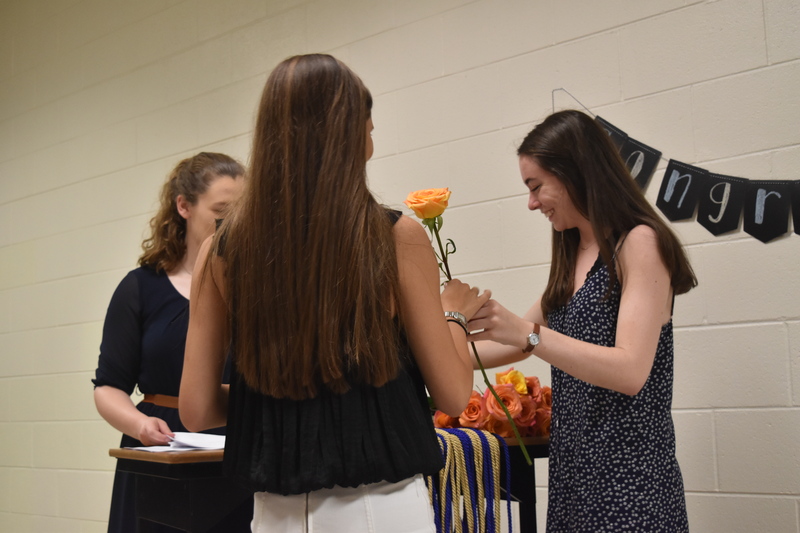 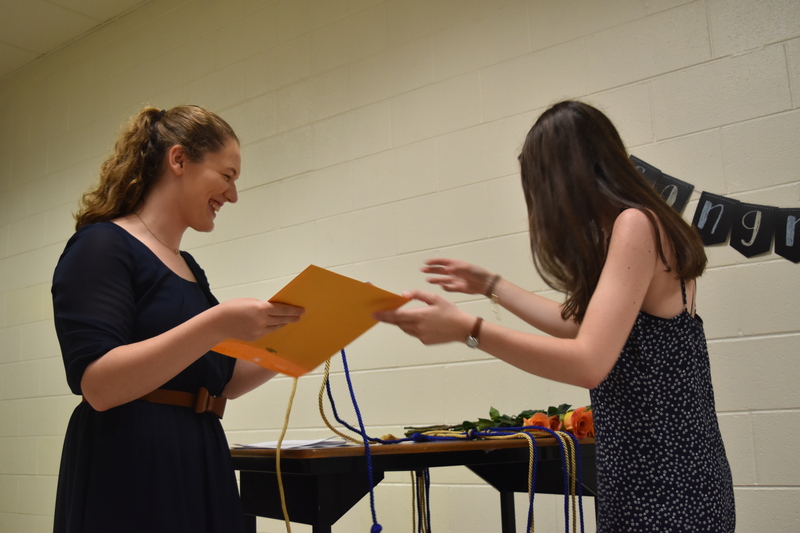 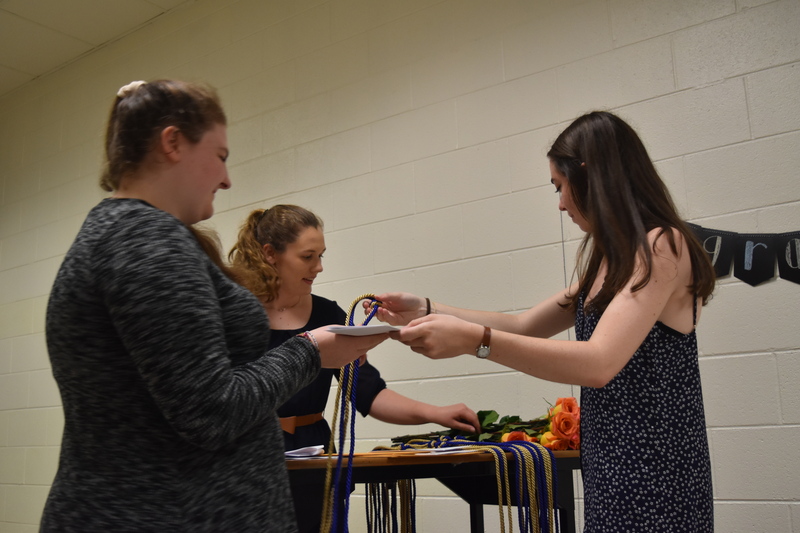 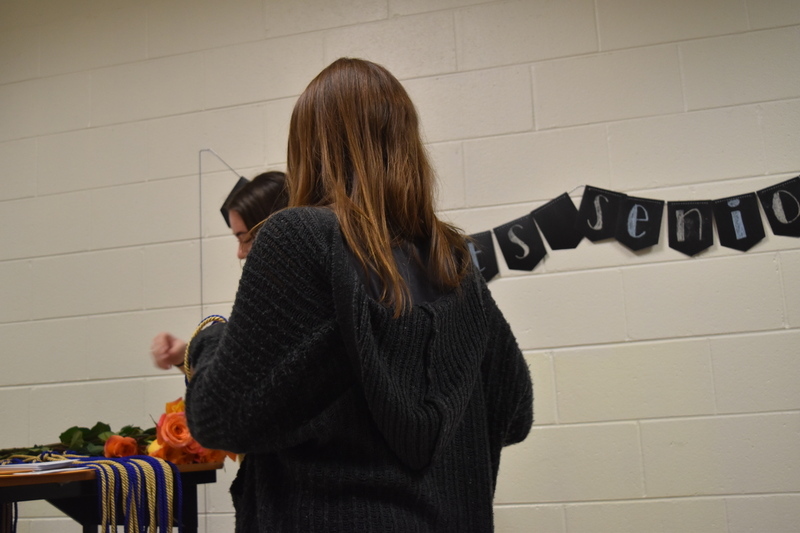 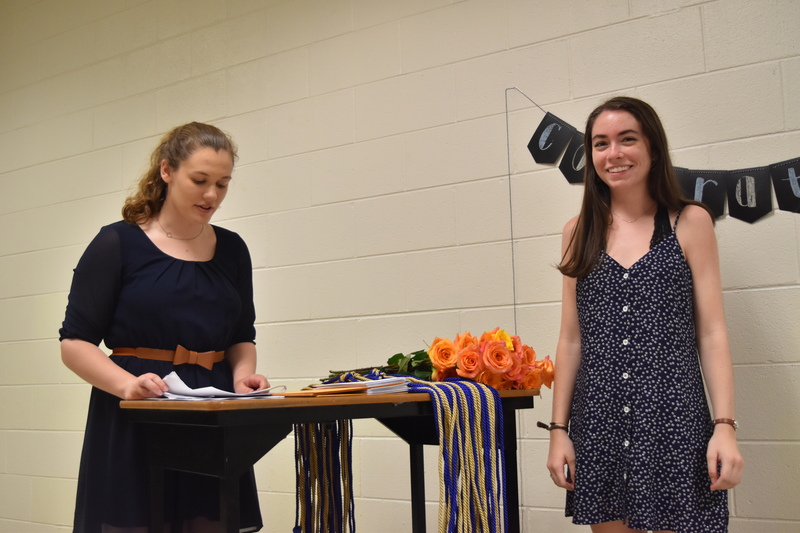 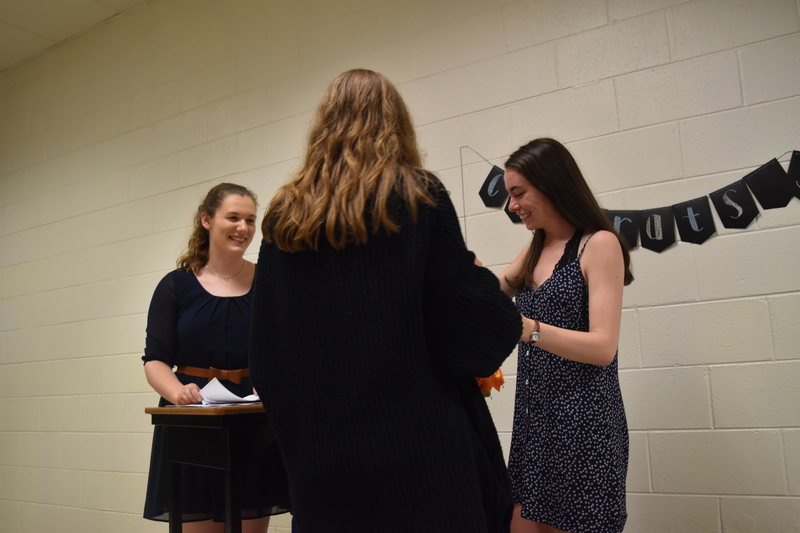 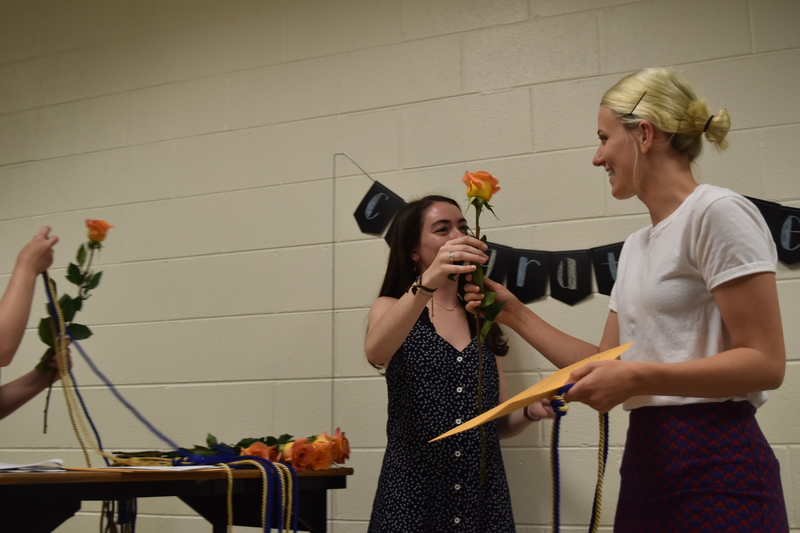 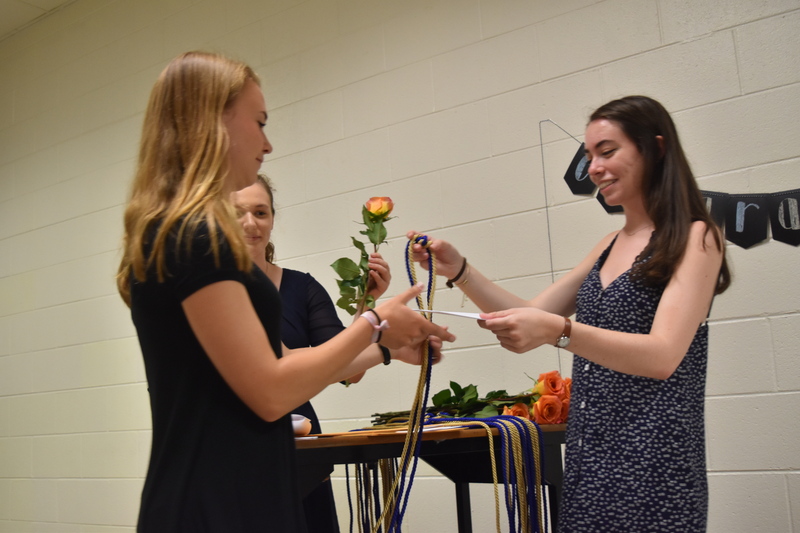 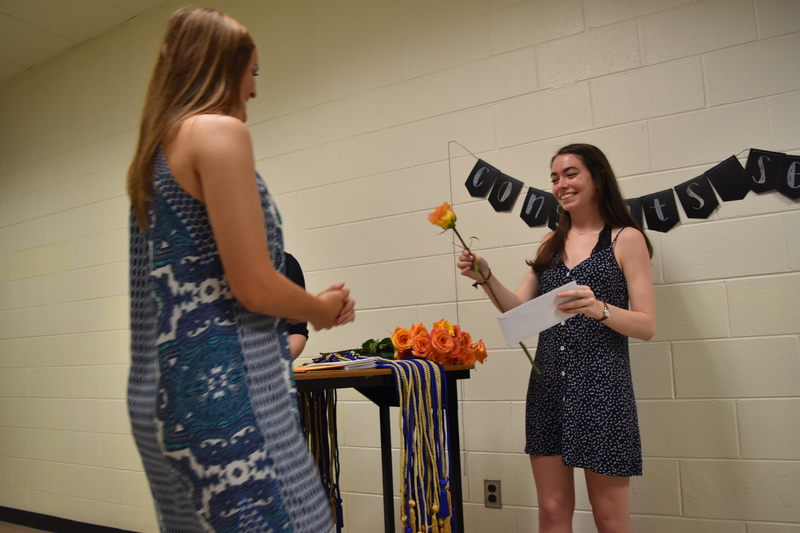 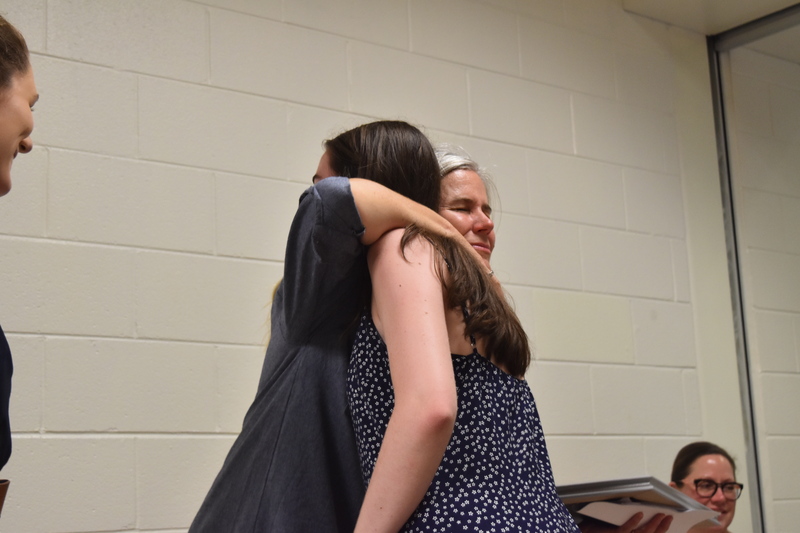 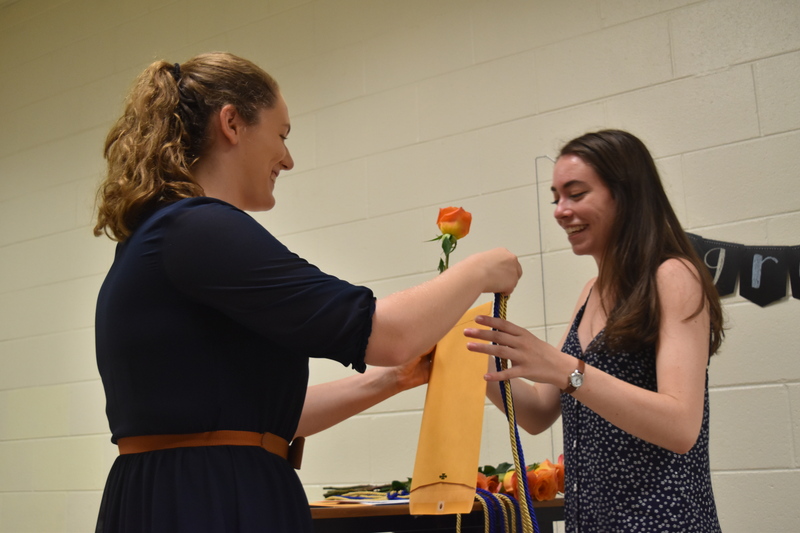 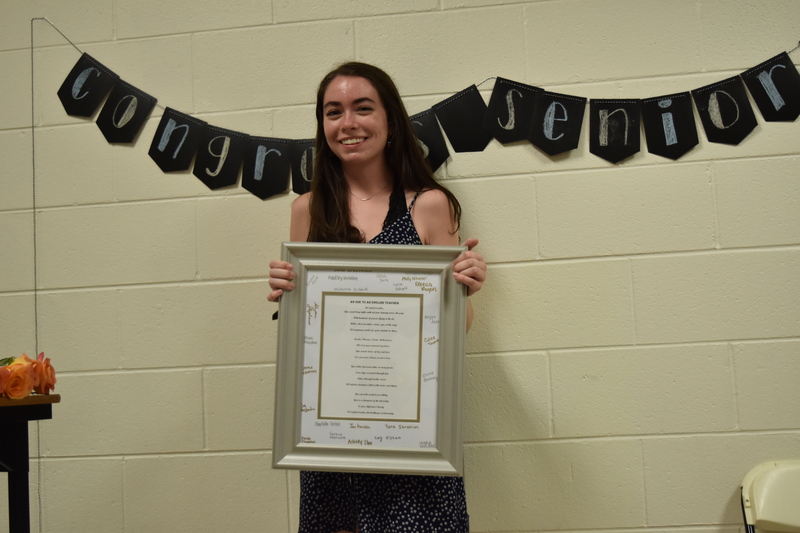 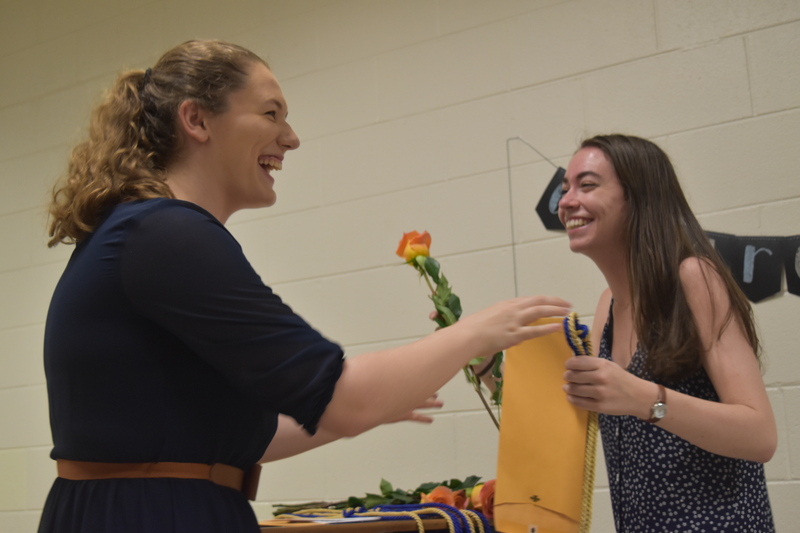 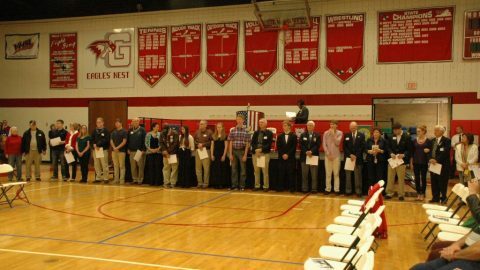 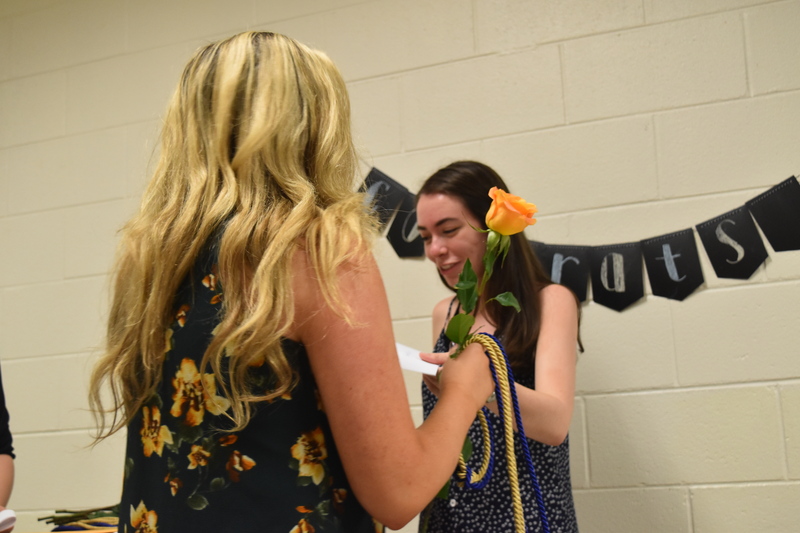 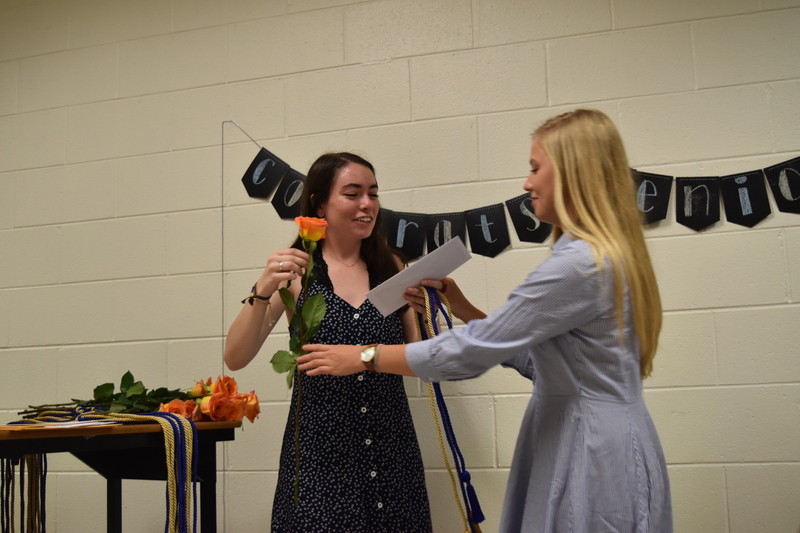 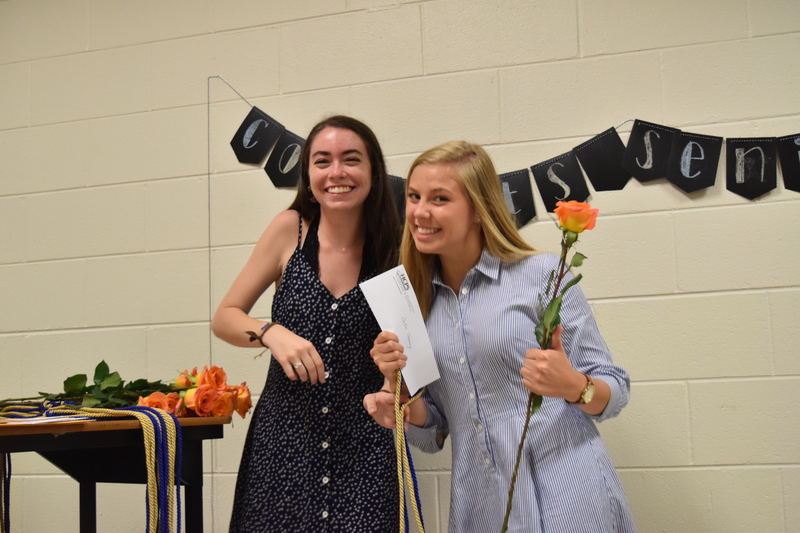 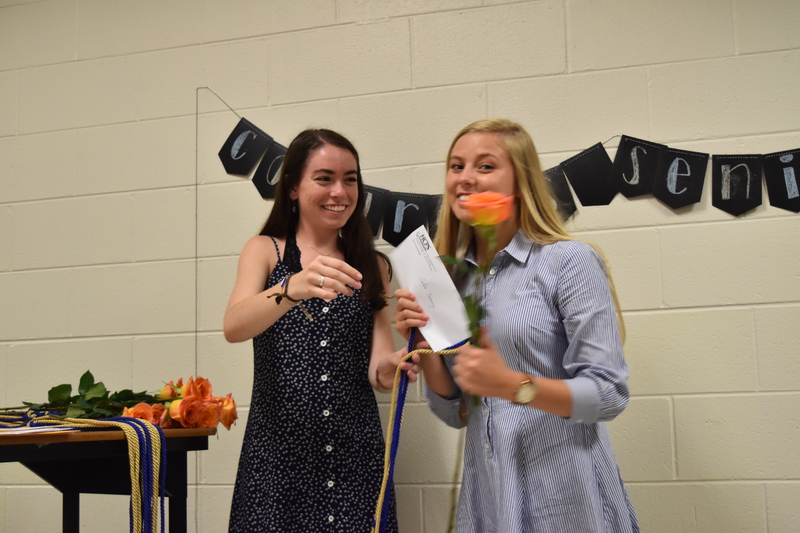 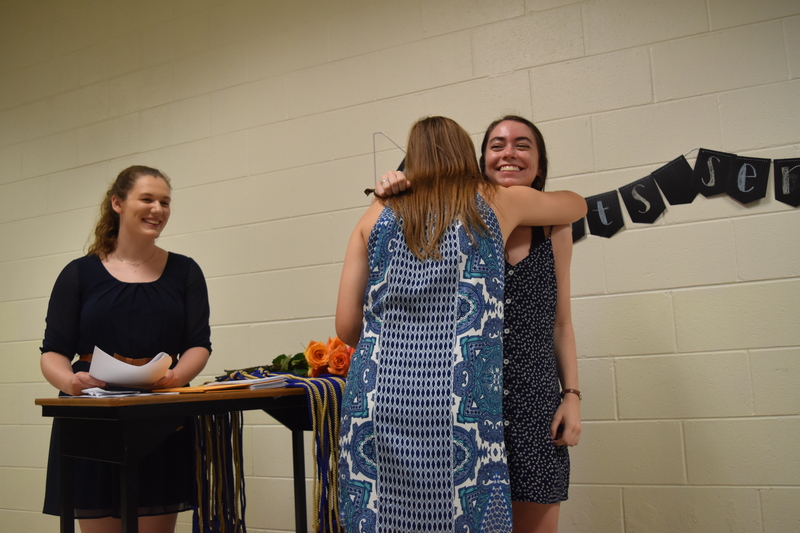 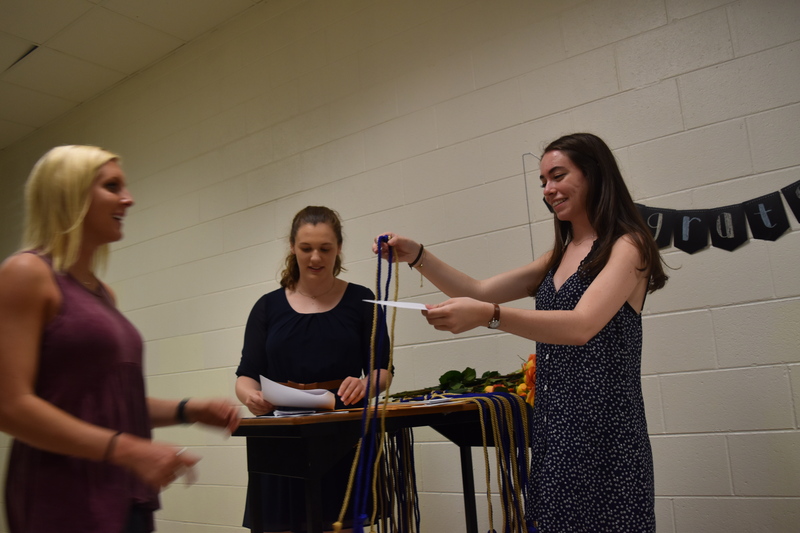 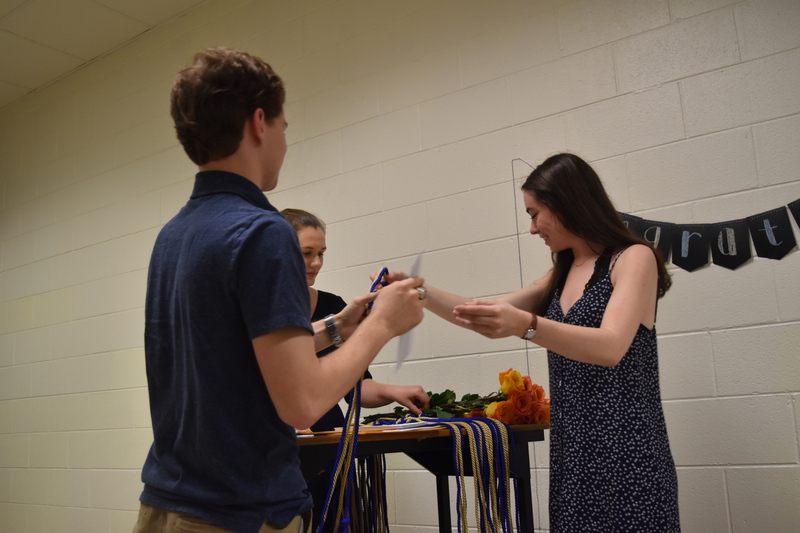 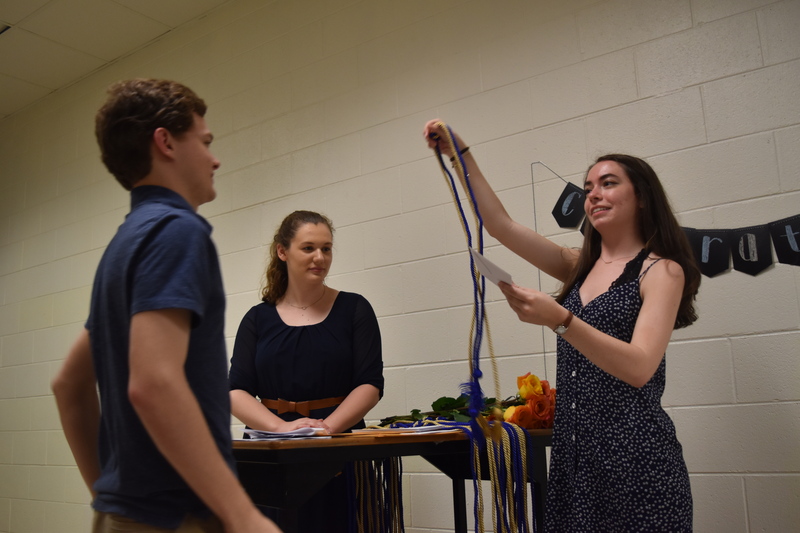 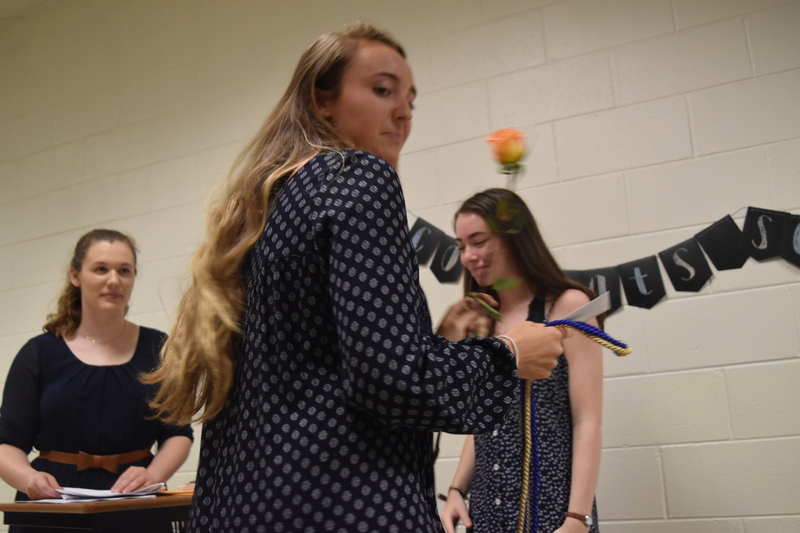 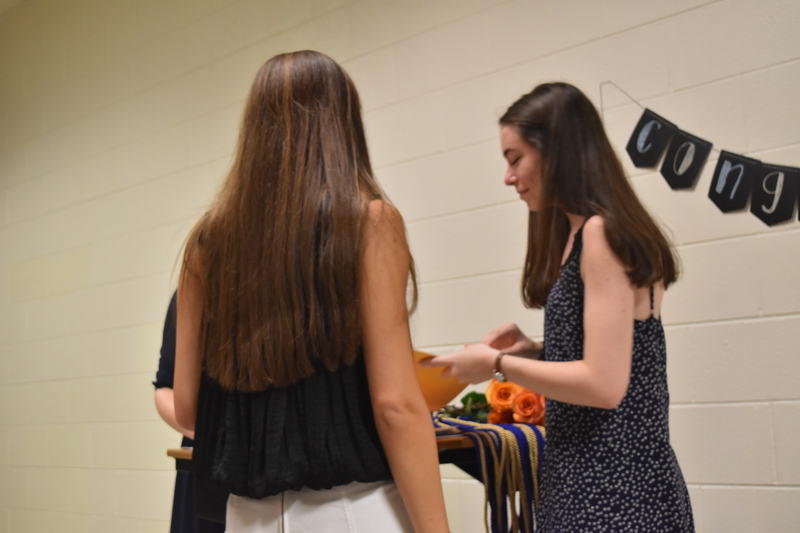 The newly formed Godwin National English Honor Society (NEHS) recently hosted their inaugural Senior Ceremony to present senior members with their honor chords. 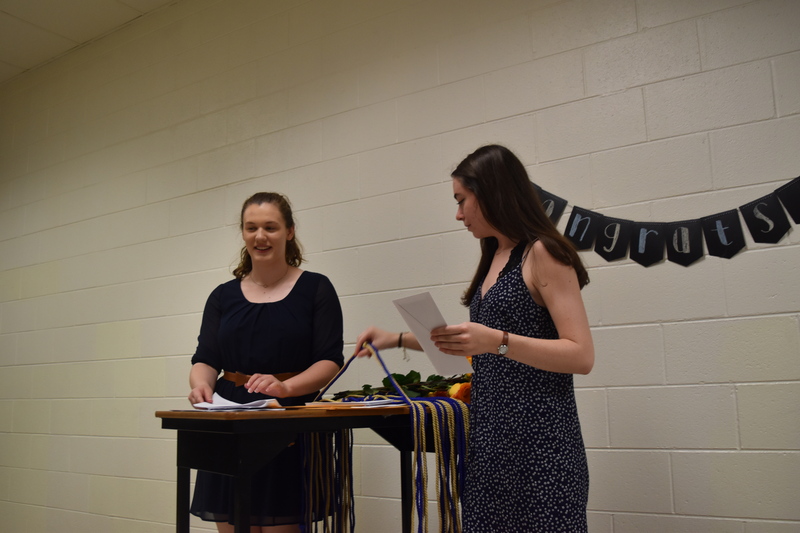 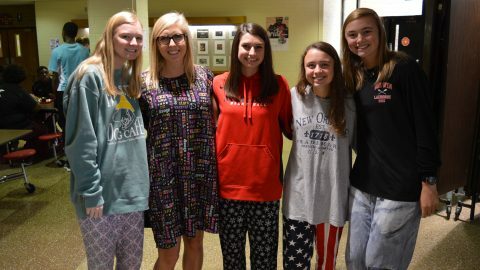 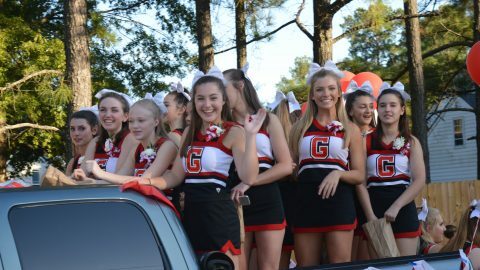 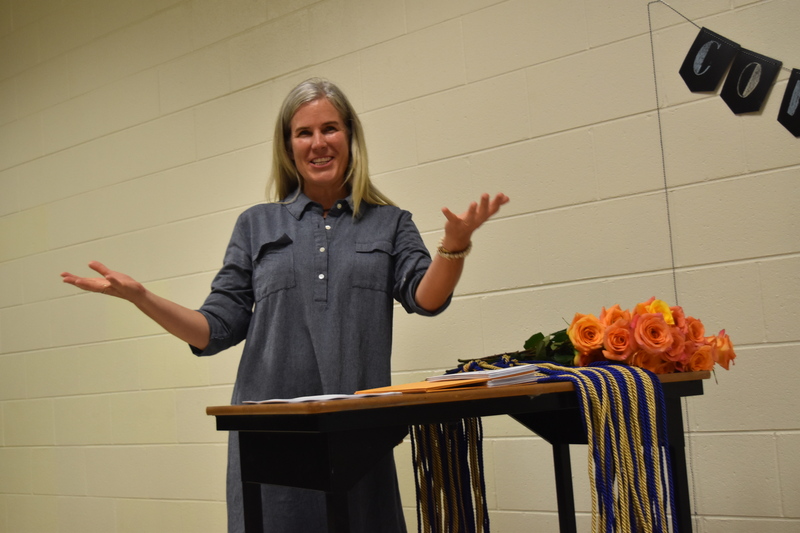 The Godwin NEHS chapter was formed in the 2016-2017 school year by English teacher Mary Mordica. 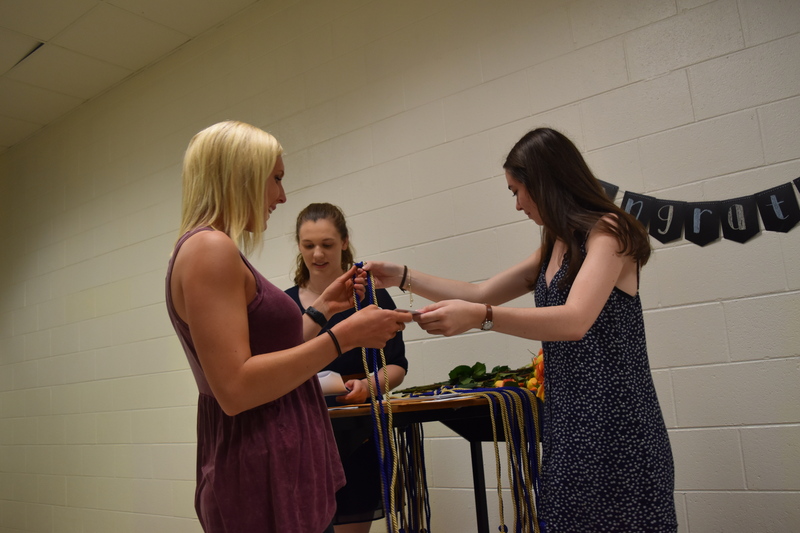 NEHS president Emma Ford and Vice President McKenna Gillard, both seniors, along with sponsor and English teacher Mary Mordica, worked incredibly hard in organizing and then re-organizing due to rain. 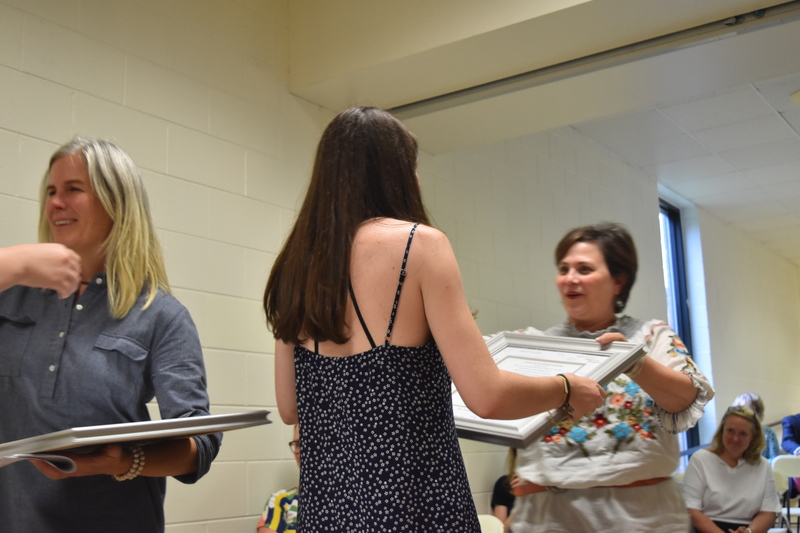 Moving and drying furniture and floors was required. 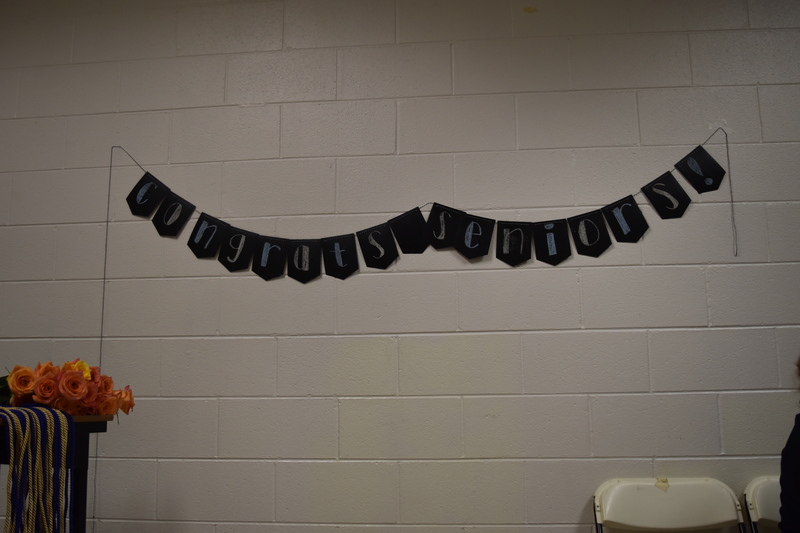 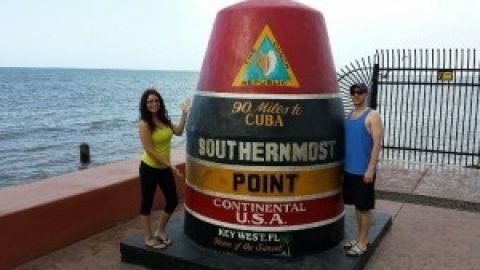 Still, they made it come off without a hitch. 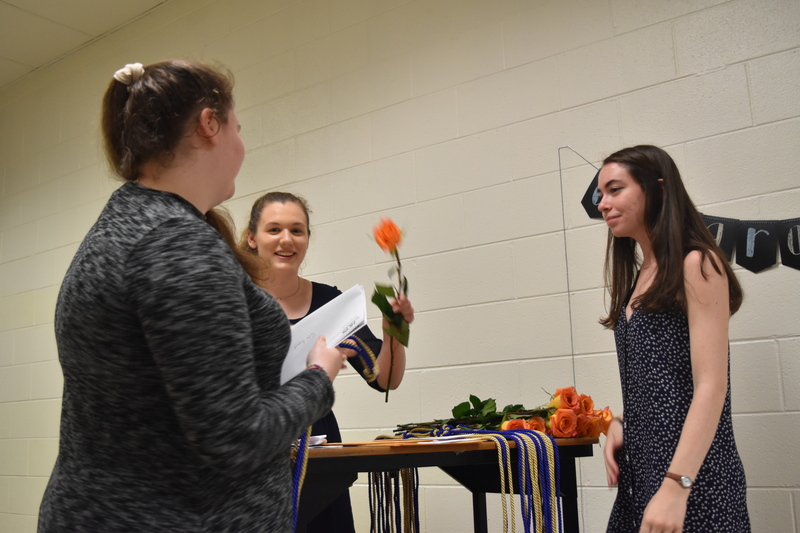 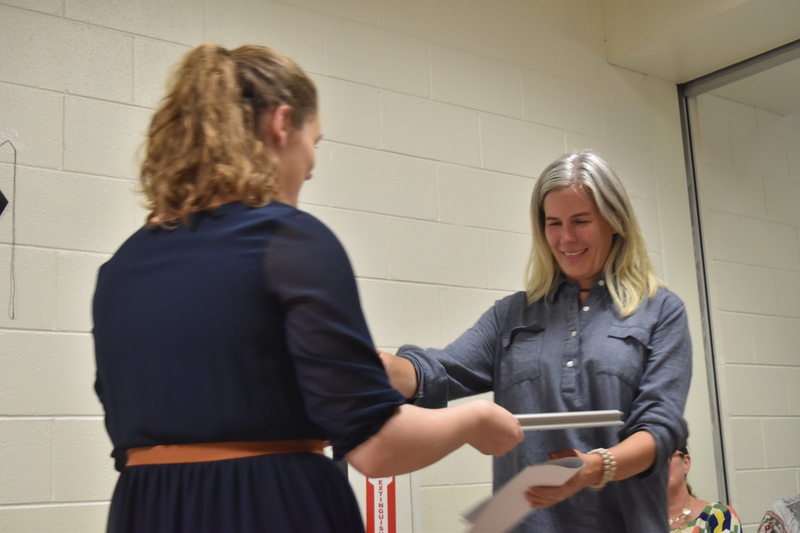 Both senior inductees and parents were very grateful for the ceremony, and many expressed their appreciation for the quality of English instruction they have received throughout high school. 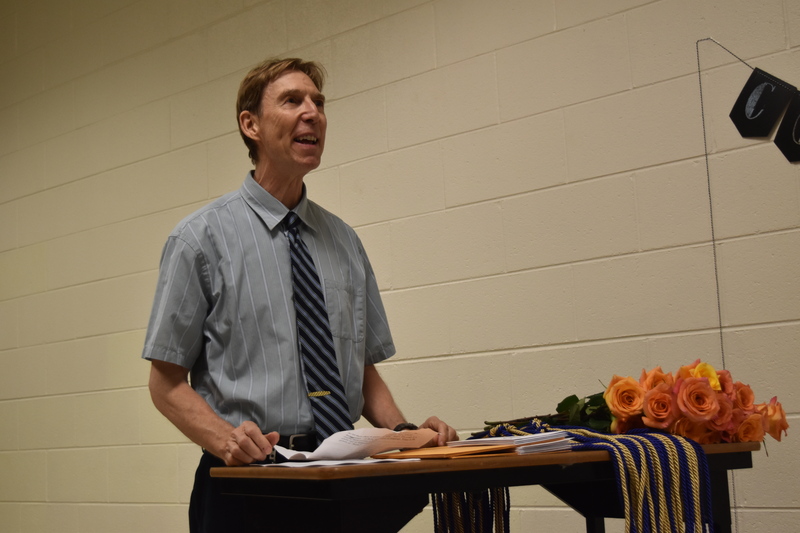 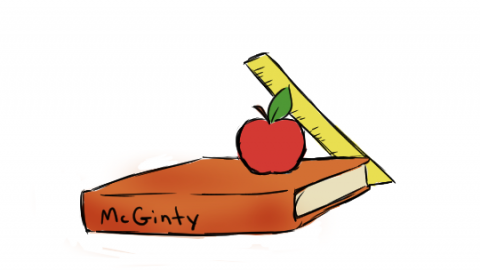 English teachers Steve Wozny and Luanne Lyons each spoke beautifully about the power of the written word. 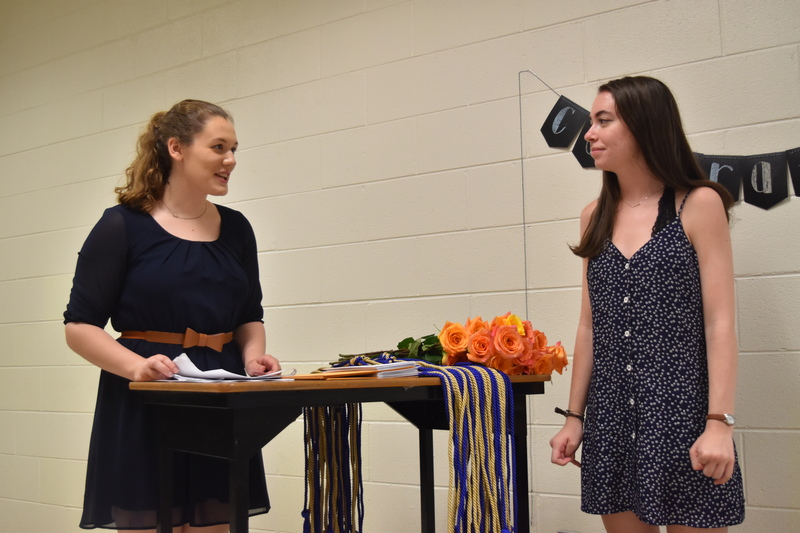 Both “wowed” the audience. 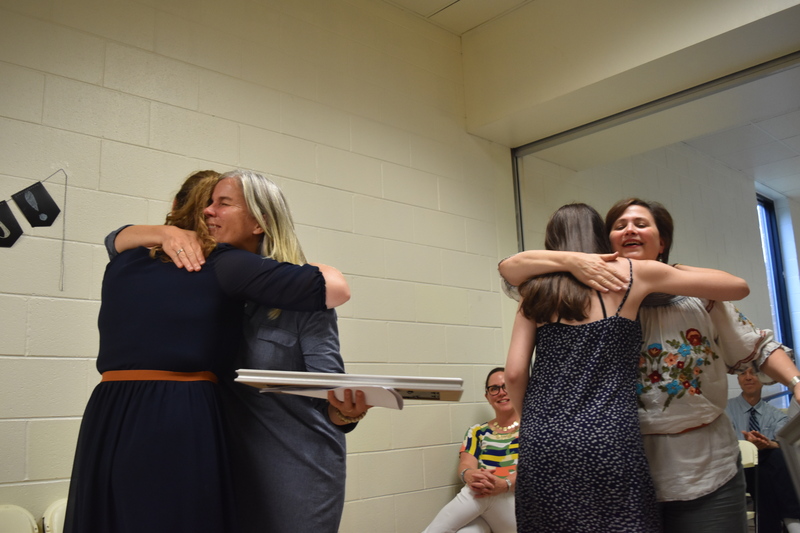 Lyons and Mordica were honored individually by the NEHS for their contributions and service to our students and school. 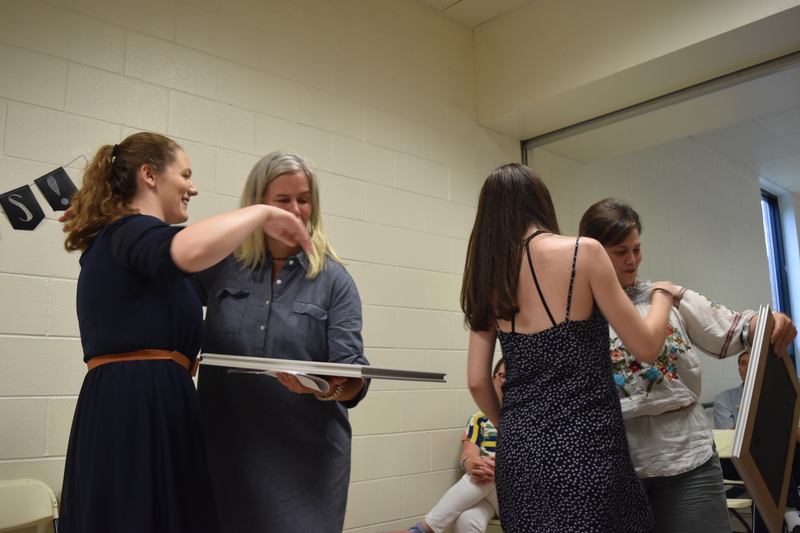 Each was presented with a framed “Ode to an English Teacher” written by Ford. 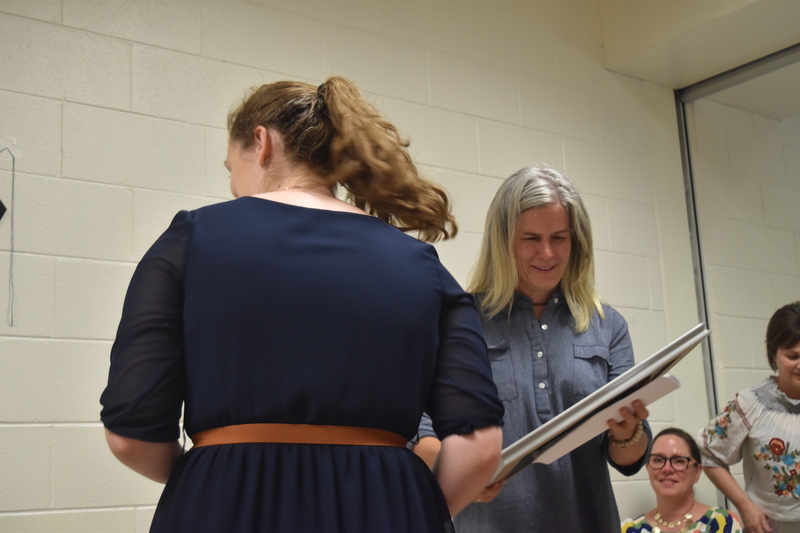 NEHS members had signed the matting inside. 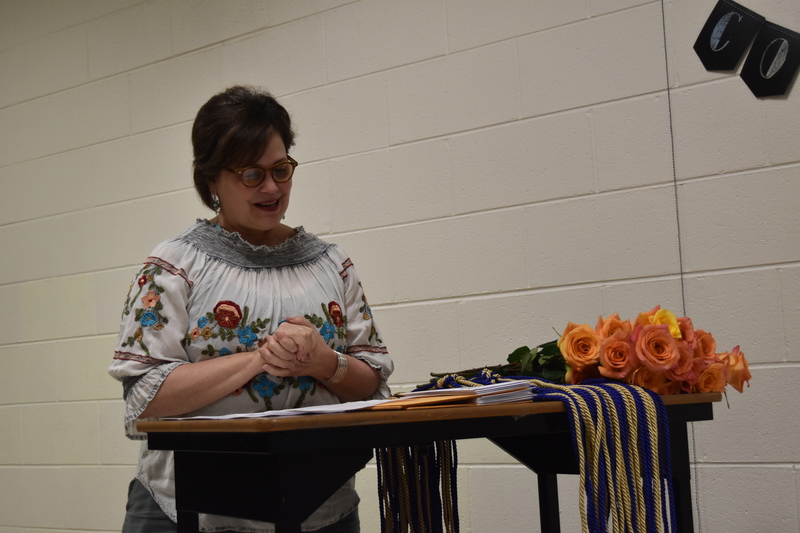 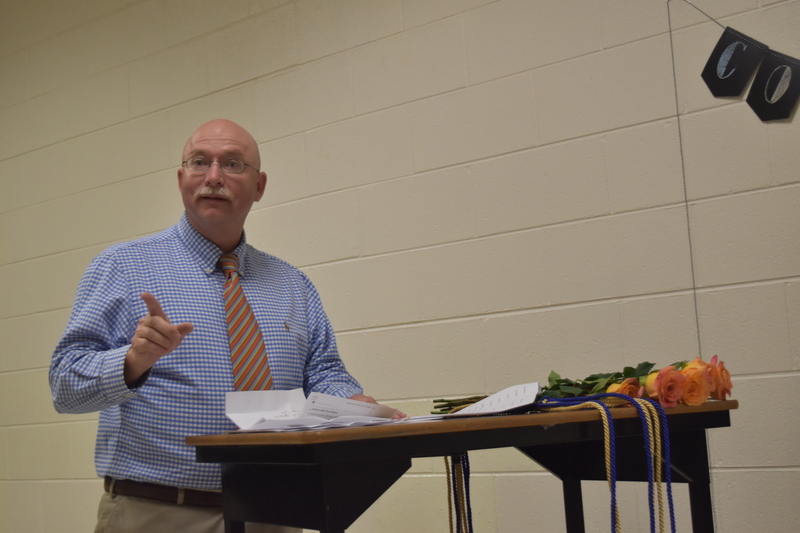 With approval from the NEHS, the Godwin High School principal, and former teachers Mary Bruner and Carolyn Roscoe, the Roscoe Bruner chapter of NEHS at Mills Godwin will now become the Roscoe Bruner Mordica chapter. 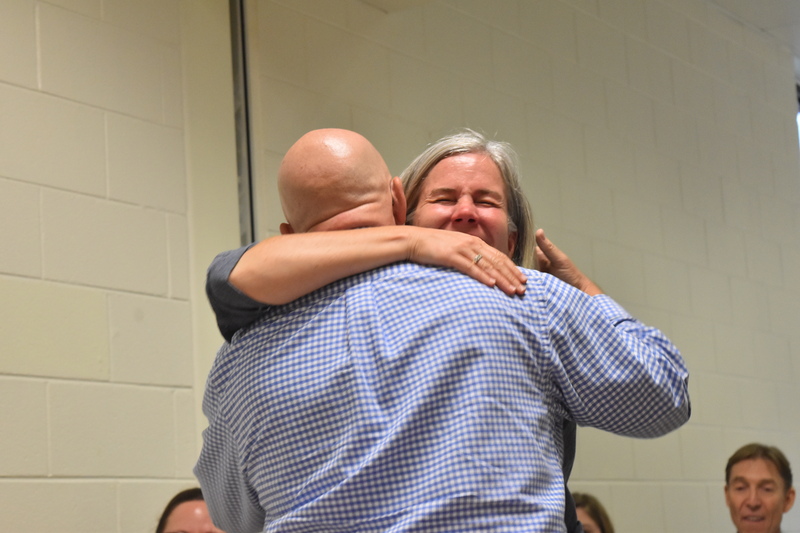 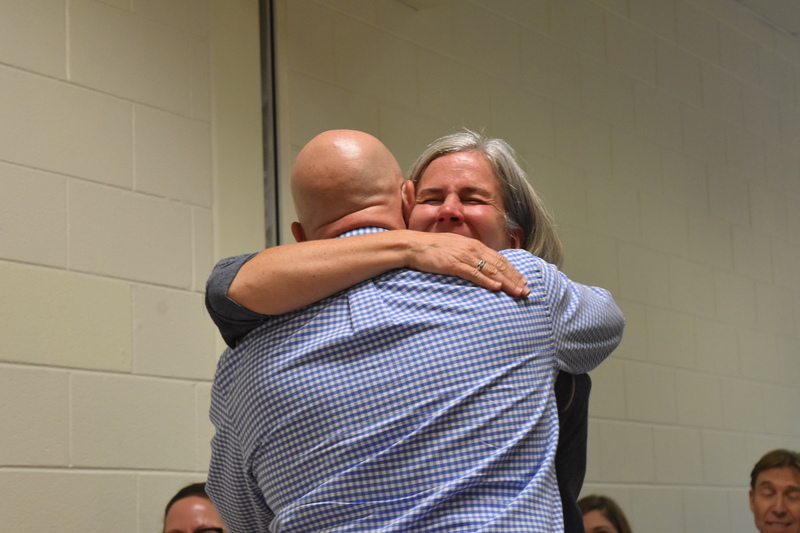 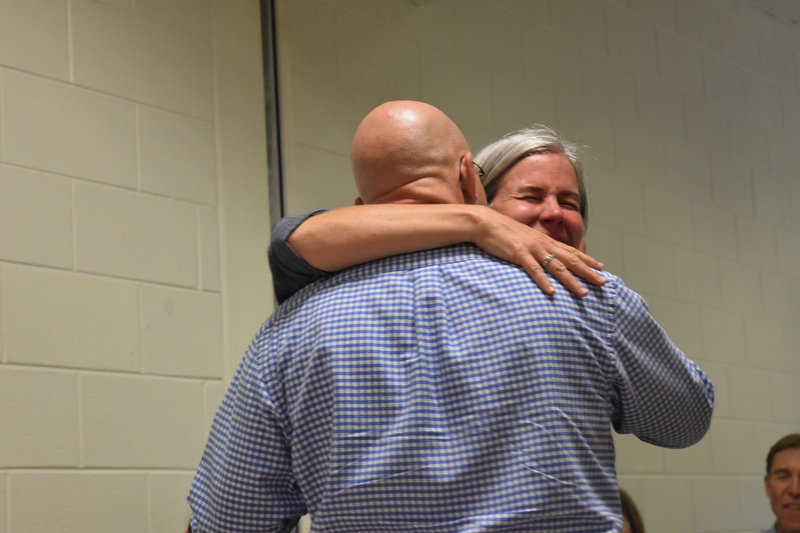 It is only fitting to honor Mary Mordica who did all the planning, groundwork, and organization to establish NEHS at Godwin and serve as its first sponsor.